This business located in Medway, Maine is your source for quality new and used RVs, boats, motors, trailers, and docks. D and M Sales offer parts and service, as well as shrink-wrapping and storage. See us for used vehicles too! 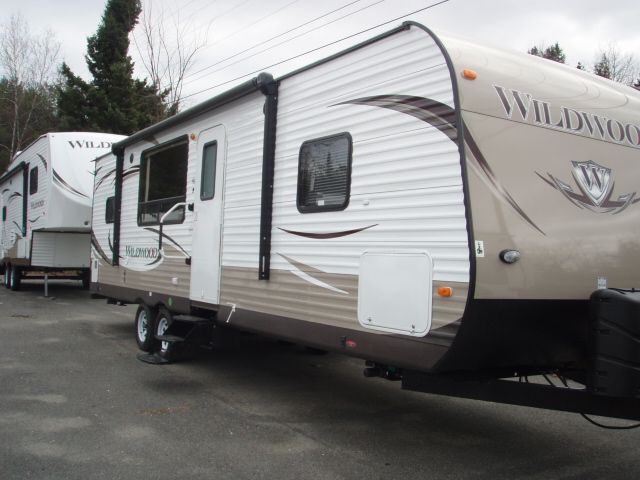 Standard options included on most new D & M Sales RV Trailers and 5th Wheels are electric awnings, electric stabilizing jacks, electric tonque jack, SS appliances, foot flush toilet, digital TV antenna and booster, AM/FM stereo w/CD and speakers, and touch screen remote.